The Federal government and the Northern Territory signed a new five-year Designated Area Migration Agreement on 1st Jan 2019. This Agreement also permits employers in a designated area that experiences skills/labor shortage to sponsor a select group of skilled and semi-skilled foreign workers. 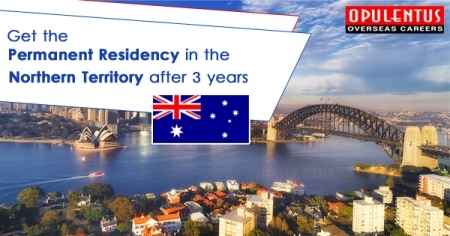 Moreover, the Applicants can also apply for permanent residency after working for three years in the Northern Territory by holding a TSS Subclass 482 visa. All the interested candidates, also have to find an employer who can sponsor them in the Northern Territory. They also have to prove that their skills are closely related to a job existing on the NT DAMA Occupation List. The employer needs an assessment by the office to make sure that they meet all the necessary requirements. A registered Australian Immigration Specialist can be of immense help in the migration process. He will be in a position to provide accurate information for all situations. Please contact us.